Writer, Comedian, Producer. Depression Enthusiast. Shane Rhyne explores the bright side of his darkest thoughts with playful, intelligent, autobiographical comedy that turns personal tragedies (and the occasional triumph) into jokes for strangers. Whether he is discussing nervous first steps into second marriage, parenthood for the first time at 49, or his battles against depression and anxiety, Shane reveals that he is a “the glass is only half-shattered” kind of guy willing to celebrate the silver lining and the cloud at the same time. Shane was born and raised in Clinton, Tennessee, just outside of Knoxville. It was a mostly idyllic childhood in which he enjoyed being the fat kid who liked to read. Everything was pretty normal, except for that one time he was abducted. But that's a story he may tell you later. In his life he has worked with Pulitzer Prize-winning novelist Alex Haley; has written and edited for magazines (have an older person explain magazines to you); has hosted radio programs devoted to Americana, bluegrass, college rock, and funeral announcements. 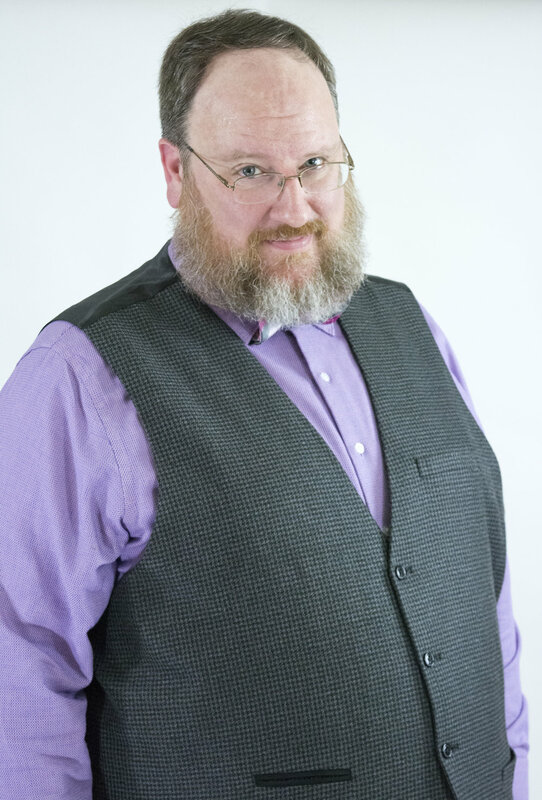 He has worked as a marketing and public relations professional for non-profits and an agency; has helped brides coordinate their weddings; and played the role of Santa Claus for the City of Knoxville for a dozen years. All of these adventures and more usually find their way into Shane's material, along with his general love of history, wordplay, and the pop culture of his youth. 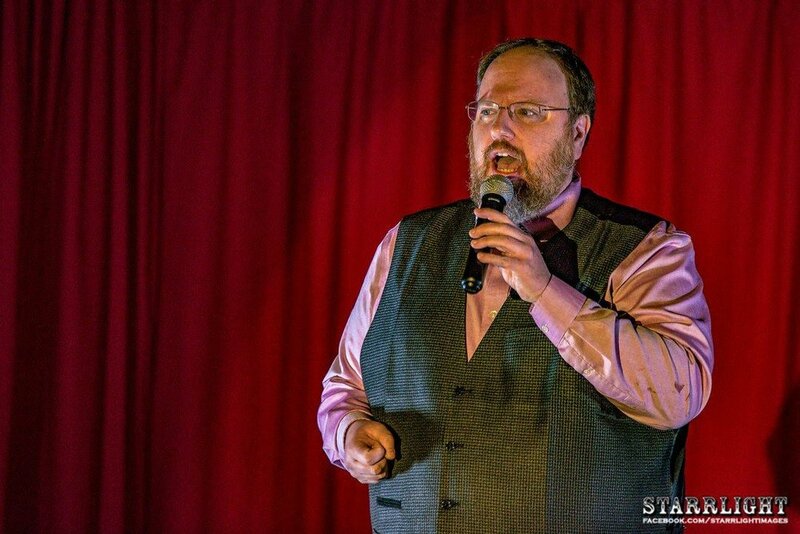 He has performed on stage at the historic Bijou Theater in Knoxville, Tennessee, (opening for former SNL cast member Jim Breuer), and for a handful of people in a vacant lot who probably didn't realize they had stumbled into a comedy show. He also has produced more than 100 live comedy shows in Knoxville as co-founder of RainShine Comedy (Shane Rhyne - RainShine - you figure it out). He has opened for comedians Emo Philips, Jim Breuer, Laurie Kilmartin, Ben Kronberg, and Killer Beaz, among others. Today, Shane is based in East Tennessee, where he lives with his wife, three stepchildren, a dog, and a cat: all of whom get priority control of the television remote before him for some reason.